Fully crusted individual with pyramidal shape and trapezoid base. The specimen has seven surfaces of which two display primary fusion crust while the remaining show secondary crust. The mass apparently sheared off a larger mass while still in the hot flight phase. 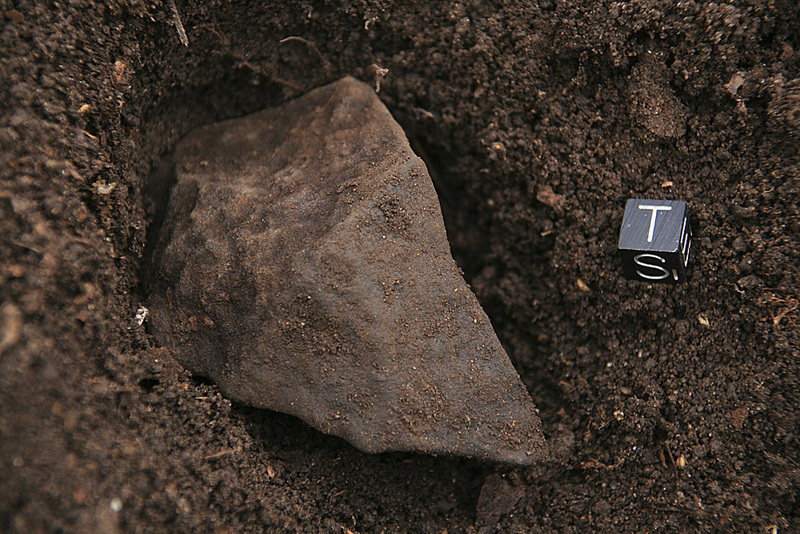 This particular meteorite was recovered using metal detectors by a Russian field team in Spring 2008. 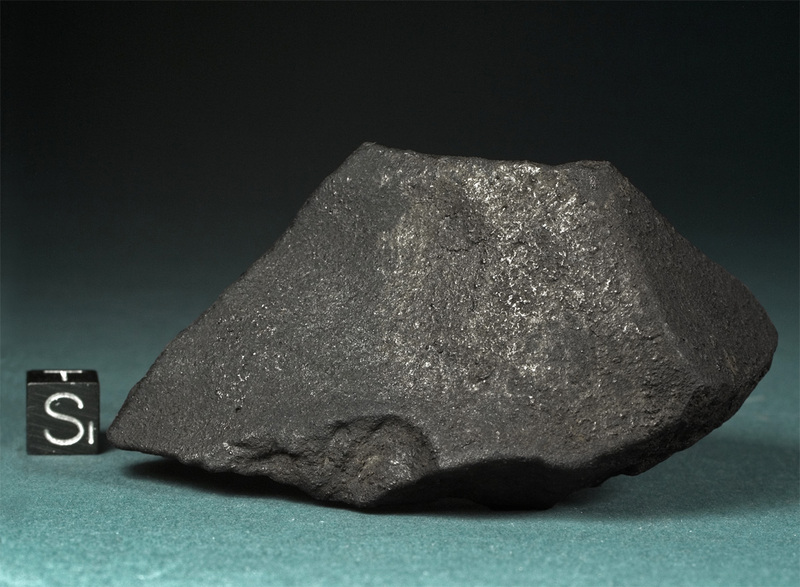 Although in the ground for 71 years, the meteorite shows only very little weathering. The lower photograph shows the meteorite in situ.